Lynker’s Joey Bennington-Castro and Jess Tuifagu developed a StoryMap of thePacific Remote Islands Marine National Monument (PRIMNM), working with Kupu Hawaii (www.kupuhawaii.org) interns to create an interactive journey into the collective heritage of this unique marine protected area, highlighting the connectivity that weaves the Papahanaumokuakea Marine National Monument’s early historical and cultural seascape. The PRIMNM—encompassing Wake, Johnston and Palmyra Atolls; Kingman Reef; and Howland, Baker, and Jarvis Islands—is one of the largest marine protected areas in the world and is especially unique because of its remote and widespread distribution across the central Pacific Ocean. Understanding the historical and cultural value of the PRIMNM is a priority focus for monument managers developing the PRIMNM management plan and also helps engage the global audience with this expansive seascape. 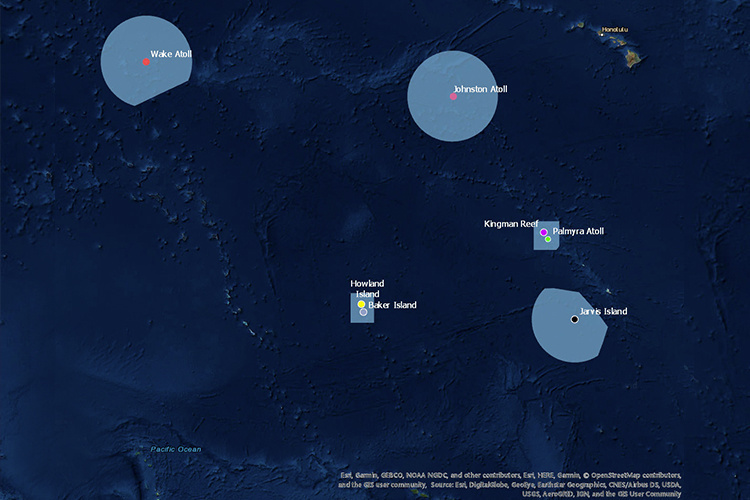 As lifecycle vendor for NOAA Fisheries and Sanctuaries in the Pacific Islands Region, Lynker is proud to have the opportunity to support cross-NOAA initiatives such as this one, which helps foster a deeper understanding of how people interacted and connected with each atoll, reef, and island of the PRIMNM before the onset of World War II.